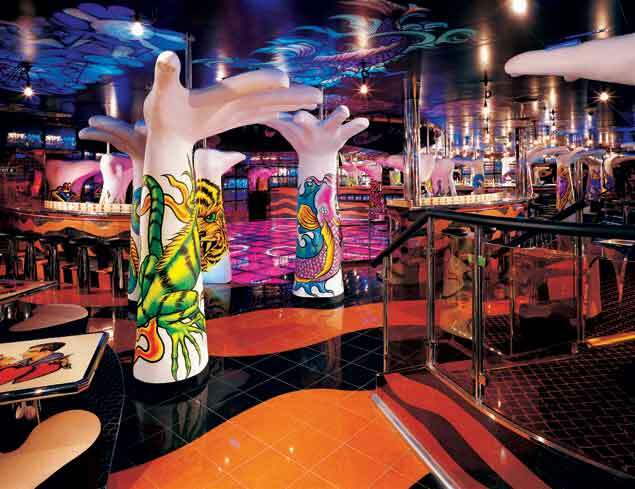 Take the liberty of a vacation - on Carnival Liberty! Find freedom and fun, sun and sea, and the trip of a lifetime! Liberty has all the Carnival amenities - from a Seaside Theatre (a 12'x22' LED screen that plays movies, concerts, and much more), fine dining, great service – to the addition of two new, huge penthouse suites! Each of these deluxe suites is 650 square feet! Liberty also has the Twister Slide - a 214-foot water shoot that will make your splash in the pool a completely new experience. 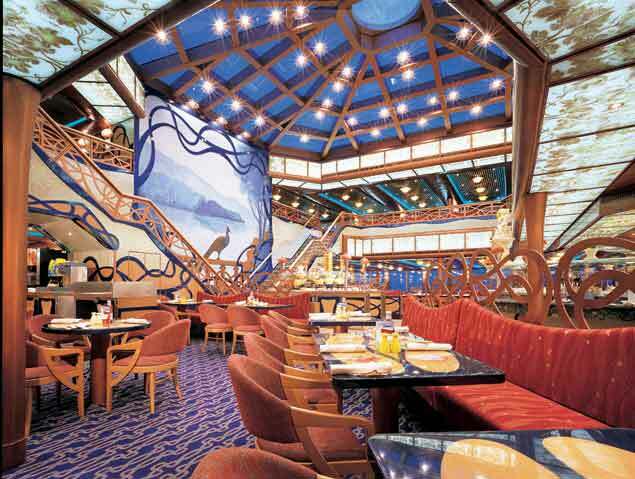 What are you waiting for - book your cruise on Carnival Liberty today. Looking for something to do? 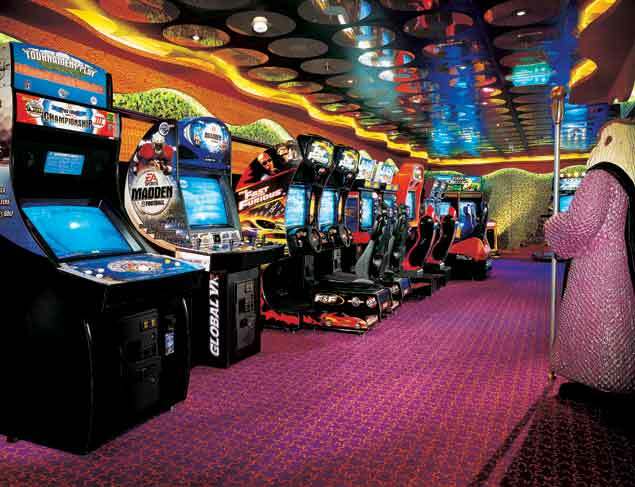 The possibilities are endless on Carnival Liberty! Walk around and take in the exciting décor, grab a coffee or a drink, and decide what to do next! You can play 9 holes of mini-golf, relax by the pool, pamper yourself at the spa (it has massage rooms, a sauna and steam rooms), and much more! Take a dip in the Star pool or the Sky pool, ride the Twister slide, or just soak in the sun on deck! For the kids, there's a special pool designed just for them, as well as activities like Camp Carnival and Club O2 for the teens! 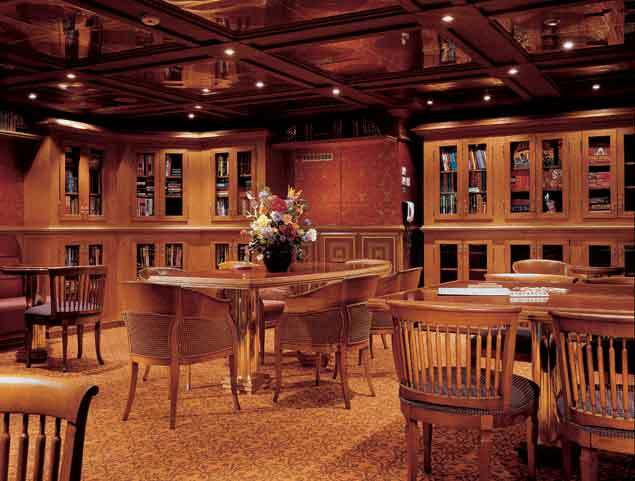 Work out at the gymnasium and the jogging track, or relax with a book at the Painter's Library. Feel like taking a stroll? Walk through Fashion Boulevard and check out the shops (which include several duty-free stores), or wander around the atrium. There is no shortage of ways to occupy your days! If food is your thing, check out these dining options: The formal dining rooms on Liberty offer an exquisite culinary experience including fresh lobster and a huge variety of wines, as well as great service! Fascination offers the Supper Club, which is a reservations-only, chic Manhattan-restaurant setting. Offering your favorite menu items from the steakhouse, the Supper Club guarantees to please you with every bite. For the more casual diner, there are midnight buffets, a 24-hour pizzeria and even European Cafés so that you can satisfy whatever craving you have! For the youngest members of your family, the kids menu offers all of their favorites including pizza, spaghetti and meatballs, hamburgers, hotdogs, and much more! On Carnival Liberty, once the sun goes down, the party begins! 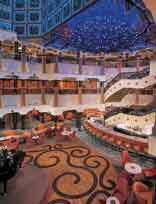 Catch a live show at the Venetian Palace show lounge, or enjoy some live music at the Stage Jazz Club. The Garden Atrium has a bar, and there's also The Gloves Sports Bar, where you can watch your favorite teams on large screen televisions! There's Alfred's Bar, the Promenade Bar, the Victoria Lounge, the Toulouse-Lautrec Lounge, and even a casino! 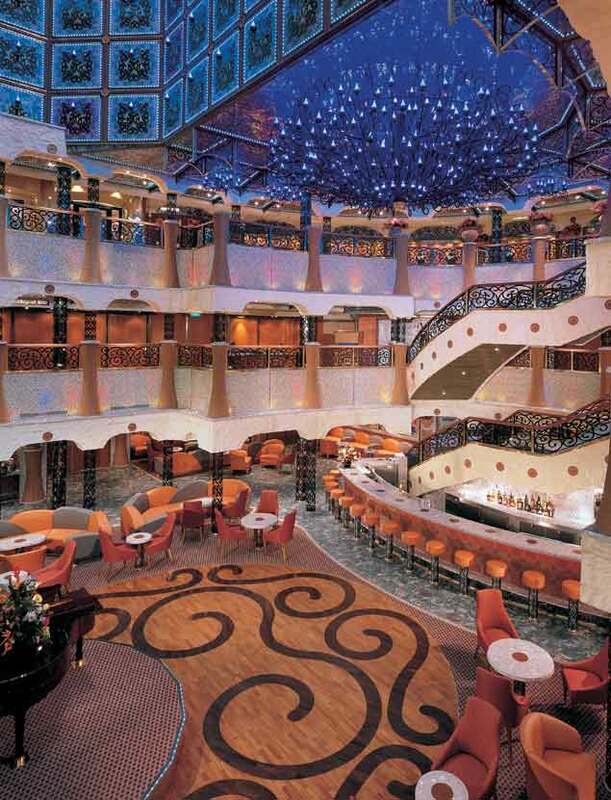 Easily one of the biggest casinos afloat, Czar's Palace Casino is the place to try your luck! There's more live music at the Piano Man Bar, and you can just have a drink and enjoy some good company at the Victorian Lounge! 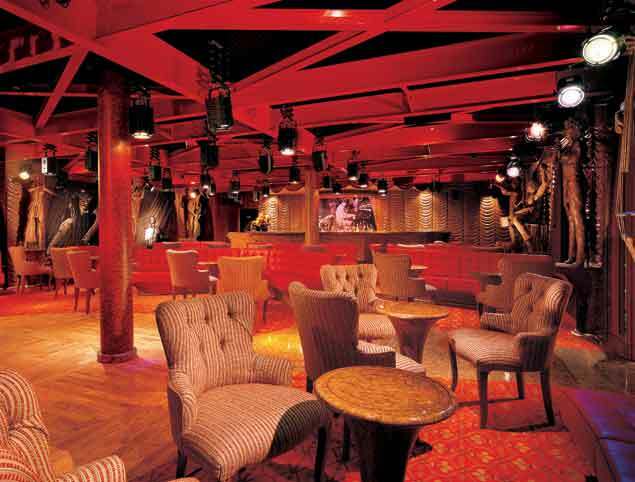 Dance the night away at the nightclub on board - and do it again the next night!